Fifteen young women from the Pearls and Seamoon areas in St Andrew are benefitting from a project undertaken by the Grenada National Organisation of Women that will see them engaging in a trade that was traditional seen and accepted as an occupation for men. Though at its halfway point, the Organisation officially launched a Basic Carpentry and Joinery Skills for Women Hurricane Shutters Project last week Friday with a mini exhibition at the Pearls Community Centre. “This is a public and local community event organised to highlight successful outcomes and impact from a small-scale participatory development project designed and managed by our Project Team,” said GNOW President Bernadette “Molly” Bartholomew, who explained that this project was a dream of Executive Member Gloria Payne-Banfield. 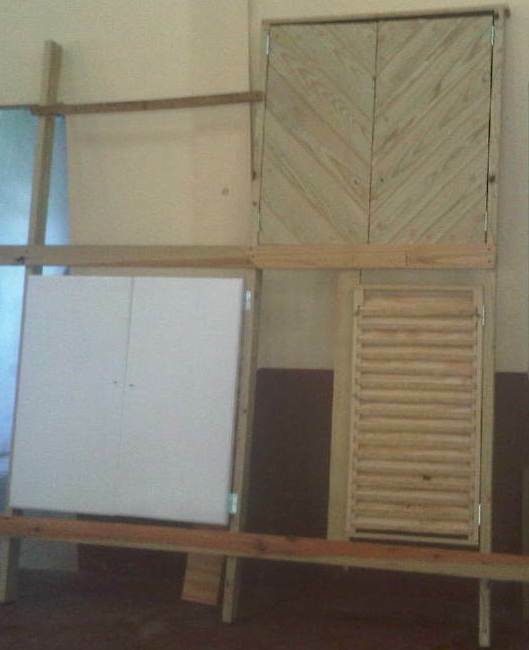 The project which cost US$15,000 is being funded by the Direct Aid Program (DAP) of the Government of Australia, and facilitated by Carpentry and Joinery Artisans from NEWLO and the Pearls Community, is now at its midway point, and a wide selection of designed shutters were on display during the exhibition. The instructors are Eric Felix and Steve Batson. Community Development Minister Gregory Bowen who was at the time speaking in his capacity as Acting Prime Minister, described the project as one that pushes women beyond the traditional norms and puts them in the field where they can equally contribute towards the development of the construction industry. He also gave a commitment that Government projects will be aiming to have a certain percentage of women attached to those projects, and women who have received the basic training in carpentry and joinery should make use of opportunities as they present themselves. Project Manager at GNOW, Ms Lorice Pascal, said that the project is having its positive impact on those who participated. “Evidence of its success to date, is a sizeable number of saleable wooden hurricane shutters in elegant designs and beautiful finish, that the women have produced and are enthused about marketing to the wider public,” she said. “In our capacity as implementers of the project, we see it as having great potential for economic viability in Grenada and as a means of livelihood for rural women in particular,” she adds. The Grenada National Organization of Women said that it’s very proud of these early outcomes from an initiative rightly intended to economically empower young employed rural women from the Pearls and Seamoon communities and their environs. Even more, we are very pleased with evidence of its tremendous impact on the communities and among women of other communities who are increasingly voicing interest in the project and desire to participate in the near future.